Yesterday, Belly, a true gem of what we once called alternative music, announced its reunion as well as an upcoming tour. After folding twenty years ago, the band will now play a series of shows in the U.K. and the U.S. this summer. Among the members of Generation X (already excited by the recent return of British shoegazers Lush), nostalgia and anticipation abounded. Few bands exemplified the dream pop of the 1990’s better than Belly, the act fronted by Tanya Donelly, the lead singer with the unmistakably ethereal voice. The band’s hits, including “Feed The Tree” and the magical “Super-Connected,” perfectly captured the carefree sense of possibility permeating the alt-rock of the mid-1990’s. But, as bands do, Belly soon fell apart, leaving the world just two full length albums and a handful of singles and EP’s. [T]he folks in Belly resemble hip graduate students. They’re well spoken, well read, funny. They are mindful of the truth (and consequences) of fame and dismissive of the myth of celebrity. 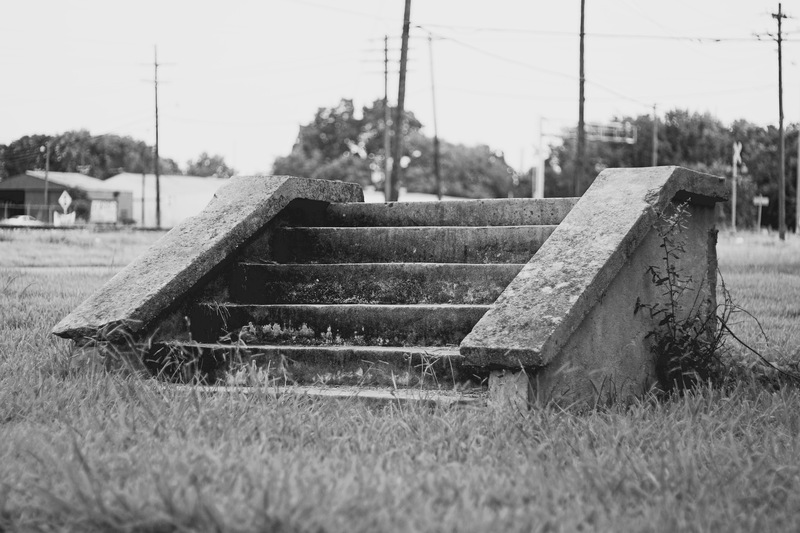 This isn’t jadedness as much as cleareyed awareness — and detachedness. Talk of any trappings of fame makes them uncomfortable. In sum, the band seemed to be going places. Of course, not everyone dug its second album. In a 1995 Austin Chronicle review of King, music critic Margaret Moser noted that the record “may be a kind of sophomore slump . . . as Donelly’s inclination toward feyness can be suffocating, and tender becomes cloying on ‘The Bees’ and ‘Red. '” But the center would not hold. Just four years after the band’s formation, in late 1996, Julia Chaplin of Spin reported that its members had “amicably” parted ways, ostensibly paving the way for Donelly’s inevitable solo career. On her own, though, Donelly never equalled the success or critical acclaim of Belly (despite releasing a number of solo albums). For the last several years, she has released recordings in her “Swan Song Series,” a title more suggestive of impending retirement than a return to past projects. As bands from the 1990’s began to reform in the 2000’s, Belly remained conspicuously absent from the 1990’s nostalgia machine. Thirteen years ago, writing in the Austin Chronicle about the band’s greatest hits release, writer Chris Gray questioned the band’s legacy: “Belly deserved much better than they got: two albums and also-ran in the alt.rock sweepstakes.” Would the band be remembered only as a historical footnote as Gray’s review intimated? Would Donelly truly retire from music and leave Belly behind forever? Would anyone have the opportunity to see “Super-Connected” live one last time? These questions now have answers. Belly is very happy to announce that we will be reuniting to play some shows this coming summer in the US and the UK. Dates will be announced as they are confirmed, but right now we can tell you with relative confidence that the UK shows will fall in the middle of July, and US shows will be scattered throughout August and possibly into September. We’ve also got a handful of brand new Belly songs in various stages of writing and recording, that we’ll be releasing one by one over the next few months. First previews will be right here on the website! We are very excited to be playing together again, and hope to see you out there in Summer of 2016! In conjunction with its resurrection, the band also appears to have unveiled new Twitter and Instagram accounts. No word yet on where the band will perform during its tour. Upon hearing the news of the band’s reformation, I felt a bit of elation. Back in the day, I never saw Belly in concert. Some Internet sleuthing reveals that I had several opportunities to do so when Belly performed in Texas in the 1990’s. 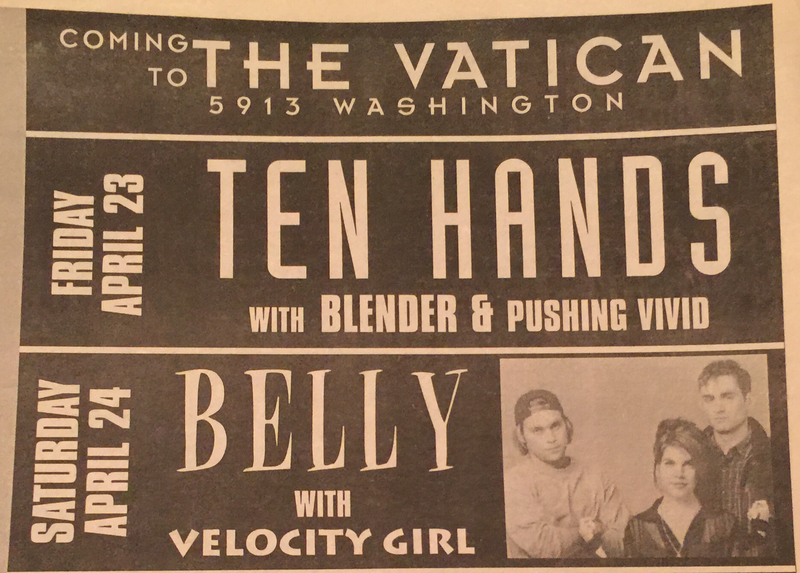 The band put on a show at The Vatican, a Houston rock club, in April of 1993 with Velocity Girl as support. Belly returned to Houston in September of that year to headline a gig at Rockefeller’s with Radiohead in tow. In May of 1995, when I lived in Austin, the band played at that city’s beloved Liberty Lunch in support of King, released just a few months earlier in February. But the stars did not align. If the band schedules a show somewhere in the Southeastern United States, I plan to rectify my prior error in missing them back then. (The color magazine advertisement for Belly’s Star depicted in this post originally appeared in the March 1993 issue of Spin magazine. The black and white advertisement for The Vatican, a rock club in Houston, Texas, originally appeared in the April 21, 1993 issue of Public News, a now defunct alternative newsweekly). Both Belly and Lush released songs called “Untogether” in the early 1990’s. Along with Juliana Hatfield, Donelly covered the theme to the cartoon, “Josie and the Pussycats,” on the 1995 compilation album, Saturday Morning: Cartoons’ Greatest Hits. I remember purchasing that disc sometime in the mid-to-late 1990’s (at the now defunct Duval Discs on Guadalupe Street in Austin, if memory serves). “Belly in Wonderland.” (Evelyn McDonnell, Spin, March 1993). “Walking Tall.”(Joy Press, Spin, February 1994). “Belly: Crowning Moment.” (Jancee Dunn, Rolling Stone, April 20, 1995). “Belly, Roseland Ballroom, NYC, April 8, 1995.” (Natasha Stovall, Spin, July 1995).